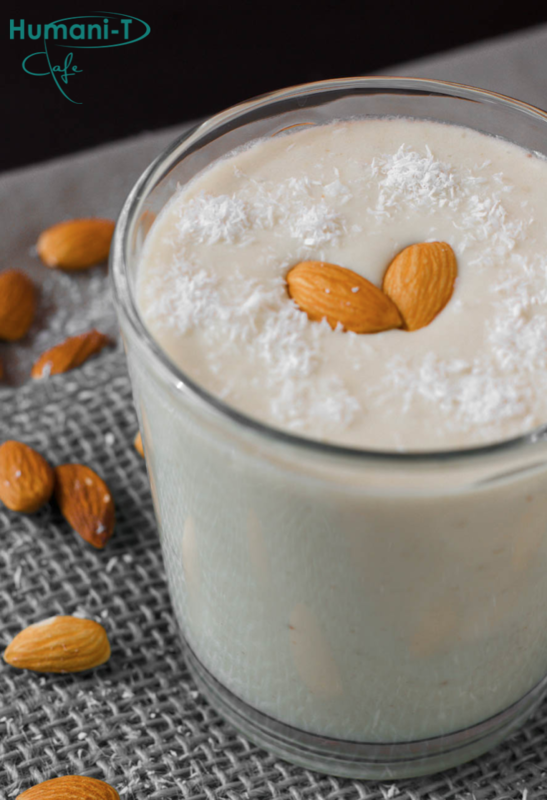 Taste the energizing goodness of this vegan coffee smoothie worth making over and over again! This coffee smoothie has an unapologetically rich vanilla flavor, subtle notes of almond and coconut, and finally the boost you desire with our very own, perfectly crafted Humani-T Organic Fair Trade Coffee. Cheers! Add all ingredients to a high-speed blender, process until smooth, and serve!